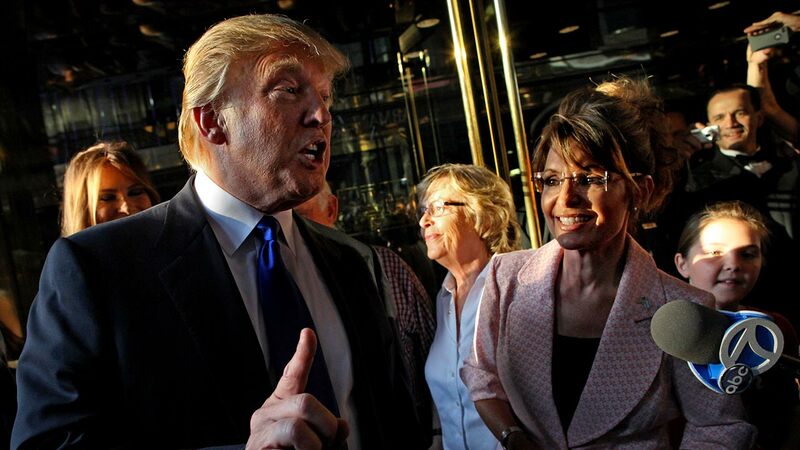 Republican presidential front-runner Donald Trump is receiving a key endorsement from conservative heavyweight Sarah Palin. The former Alaska governor, and former running mate of Sen. John McCain in the 2008 presidential race, endorsed the billionaire businessman Tuesday, Trump's campaign said in a statement, noting that he is "honored" by the endorsement. The endorsement comes less than two weeks ahead of the critical lead-off Iowa caucus, where Trump is locked in a dead heat with Texas Sen. Ted Cruz. Palin was a virtual newcomer to the national political arena when McCain named her as his running mate but has since risen to prominence as one of the most outspoken conservatives in the party. She signed on as a Fox News commentator after resigning as Alaska's governor in 2010, a job she held until last year.